If you have a failing furnace, then you have an emergency on your hands. As we all know, the winters here in Winnipeg can be brutal, and you rely on your furnace to ensure that your home isn’t just comfortable, but it’s also safe for you and your family. 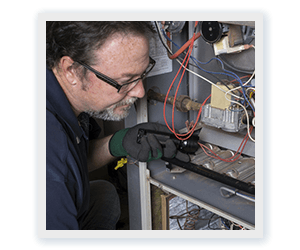 That said, furnaces do fail from time to time, and it is inevitable that your furnace will require repairs or a full replacement at some point. So, how do you ensure that you aren’t left out in the cold? Well, as Winnipeg’s authority on furnace repairs, maintenance, installations, and replacements, we know a thing or two about what can go wrong with your furnace and HVAC system. 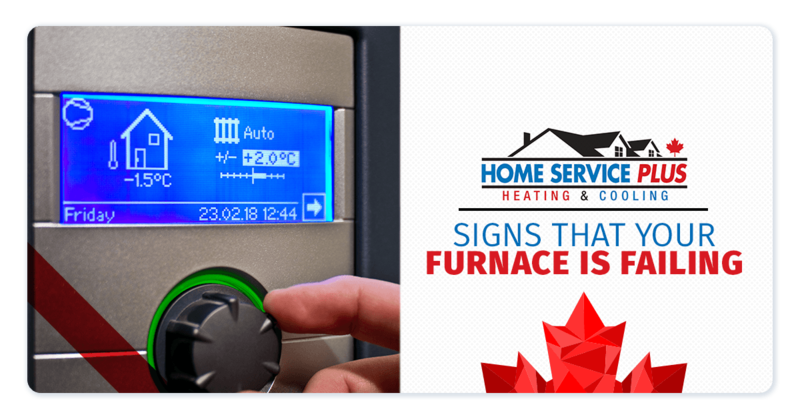 Here are a few signs of a failing furnace that you can keep an eye out for — and of course, if you happen to encounter any of these problems, you can reach out to us right away for the solutions. While your furnace will make some noise as it clicks on and off, it shouldn’t make a racket. Now, before we get started, let’s go over a few of the noises that you may hear which are completely normal. First of all, you may actually hear your furnace click as it turns on. This is the ignition system igniting the source flame to get your furnace hot. You will also hear a small whoosh sound when the gas ignites in your furnace as it turns on. In addition, you should hear your blower fan come on, and you may hear some minor pops and cracks throughout your ventilation system as the system expands due to the heat. Okay, now that we’ve covered the normal noises of your heating system, let’s assess some of those troublesome noises. First and foremost, you should be wary of multiple clicks from your furnace. This may be an indication that your ignition system is malfunctioning, which can be hazardous. If this is the case, and your furnace doesn’t ignite, you may smell gas — you should turn off the gas source to your furnace right away, let the gas dissipate and assess the problem or call a professional. You may also hear a rattling noise coming from your furnace. This noise is an indication that a part has become detached in or around your furnace. Your furnace may still operate, but a loose component is liable to fall or fail at any time, which can shut down your furnace or hinder its efficiency. Again, contact an HVAC professional if you notice rattling and cannot locate or fix the problem yourself. When those rattling noises turn into loud bangs, then a component is completely loose and your furnace may be dangerous to operate. Shut down the gas and furnace, and call a professional to take a look. Banging noises may also be caused by dirty burners in your furnace. If this is the case, then your furnace may undergo a gas buildup every time that you turn it on — and once the ignition source creates a flame, a small explosion will cause this loud bang (and that’s an obvious danger). An HVAC technician may be able to clean or replace the burner to remedy the situation. 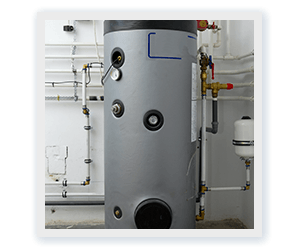 If you allow these small explosions to continue, then you are placing your furnace at risk of damaging the heat exchanger, and you may create a dangerous gas leak. If you hear loud banging noises throughout your duct system every time your furnace starts running, then you may have any number of problems. You may have a clogged air filter, you may have ducts that are insufficient in size, or you may have a blockage that is creating pressure throughout the system. Get in touch with an HVAC professional if you can’t locate the source of the issue yourself. This is a telltale sign that your furnace isn’t doing its job. While it will take a couple of minutes for the air to heat up throughout your ventilation system after your furnace clicks on, you should be able to notice warm air eventually — after all, what else is the point of the furnace? If you don’t feel any warm air coming out of your vents, then you may have a bad blower fan, your air filter may be clogged up, there may be an obstruction throughout your ventilation system, or your furnace may have failed completely. If you have an issue with the ignition source of your furnace, it will no longer come to life when your home is too cool. As always, shut off the gas if you smell gas in the air, and let that gas dissipate before you assess the problem. In addition, you may have a malfunctioning thermostat or an electrical problem that is keeping your thermostat from communicating with your furnace. Try to restart your thermostat if you can, or reach out to an expert. Your thermostat should measure the air temperature of your home, and it should trigger the furnace to come on when that temperature drops below a set point. That said, your thermostat is liable to fail, just the same as your furnace. Your thermostat may have an electrical issue, as we just mentioned. In addition, it may be uncalibrated, which means that it is reading the temperature of your home incorrectly. You may also have a thermostat that is placed poorly in your home, where it may turn your furnace off prematurely (before the whole home is warm), or too late (once the home is too hot). We can assess and fix all of these issues. If it’s getting harder and harder to maintain the temperature of your home, then your furnace may not be the source of the issue; instead, your air ducts may be to blame. Your air ducts may have a blockage in them (from animal nests to toys to dust), or you may have ducts that now have holes and gaps between various components. If you’ve noticed that your energy bill is spiking while your home’s temperature cools, then your ducts may be to blame. If you’ve encountered any of the aforementioned problems, we’re here to help. We’d be happy to stop by your home, to assess the problem, and to provide a repair as soon as possible, so you can get warm and cozy once again. Home Service Plus proudly provides 24/7 furnace repair services for folks throughout Winnipeg — reach out to us today to get started!